Five Star’s most prescribed combination distal-driving, transverse development appliance. Doctors love the durability and reliability of the Barrel Fixed 3-Way. Blocked out cuspids, arch length loss, and the classic “V” shaped arch are common in the orthodontic office. To properly select an appliance to treat blocked out cuspids, the underlying cause should be addressed. This culprit is frequently the early loss of the primary molars. The primary molars normally serve to maintain valuable “E” space for the eruption of the bicuspids and cuspids. When primary molars are lost early, the permanent first molars drift forward into the areas intended for bicuspid eruption. Consequently, the bicuspid erupts forward into the space intended for cuspid eruption. The Barrel Fixed 3-Way with posterior drive is an excellent solution to make room for the cuspids. This appliance will regain both arch length and width. Arch width is obtained by transverse expansion. Arch length is regained by distalizing the posterior segments. The Barrel Fixed 3-Way is a sturdy appliance. It’s rigid nature results in molar bodily movement and excellent expansion in the posterior region. When distalizing molars, distalize one side at a time before developing transversely. Note: If the clinician has chosen to remove the 12 year molars, both sides should be distalized together. The distalizing screws are turned 1 turn twice a week. Upon completion of distalization, turn the transverse screw 1 turn twice a week. 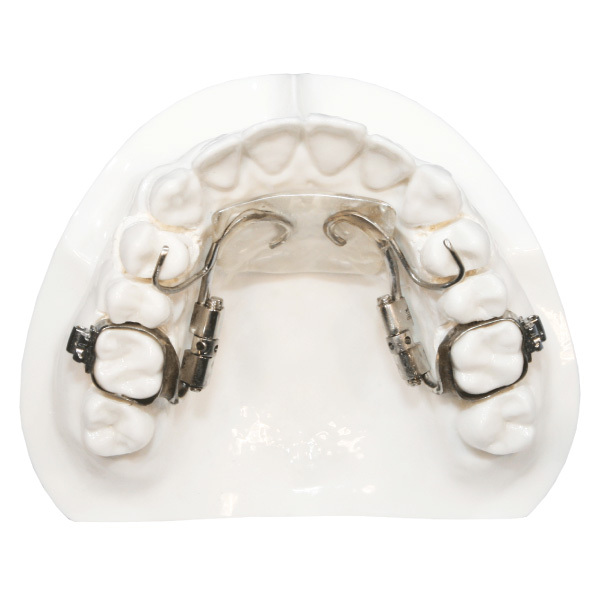 You can have brackets placed on the bands for straight wire treatment with appliance therapy. 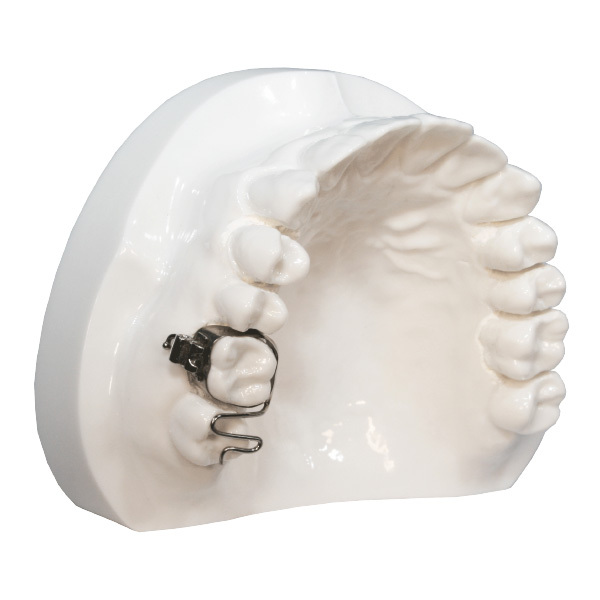 The Barrel Distalizer is designed with occlusal rests coming out the anterior acrylic. This creates anterior anchorage, resulting distalization of the molars. 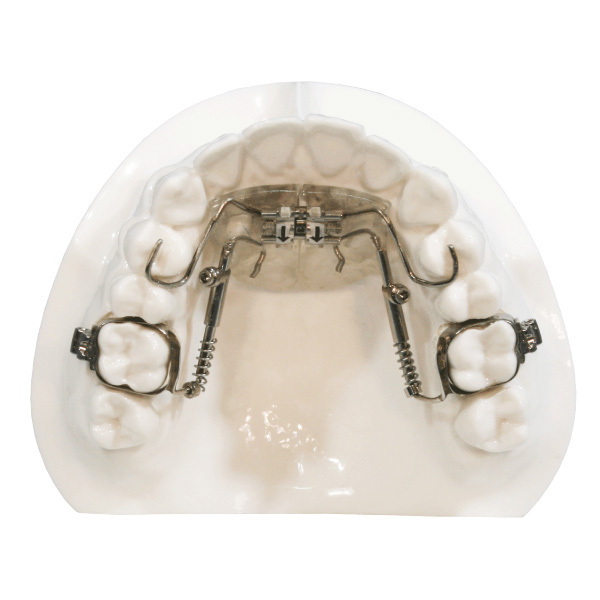 Perfect for your non-compliant patients, the Pendulum is a fixed appliance for distalization and rotation correction of the upper first molars. Palatal vault acrylic is used in conjunction with wire rests that are bonded to the occlusal surface of the bicuspids to provide anchorage. Helical springs of .032 TMA wire extend from the distal portion of the acrylic and are fit into lingual sheaths on the first molar bands. 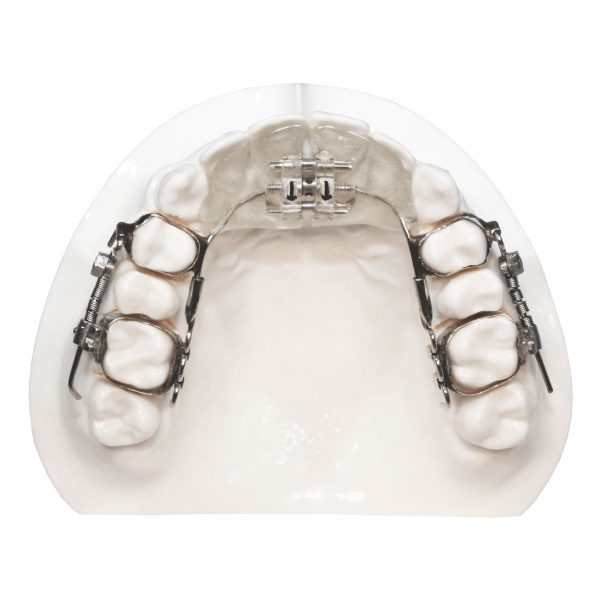 The springs are pre-activated in the laboratory and, once fit into the sheaths, provide a continuous light pressure for the desired molar distalization. Five Star fabricates the Pendulum with the innovative M-Pendulum spring design. 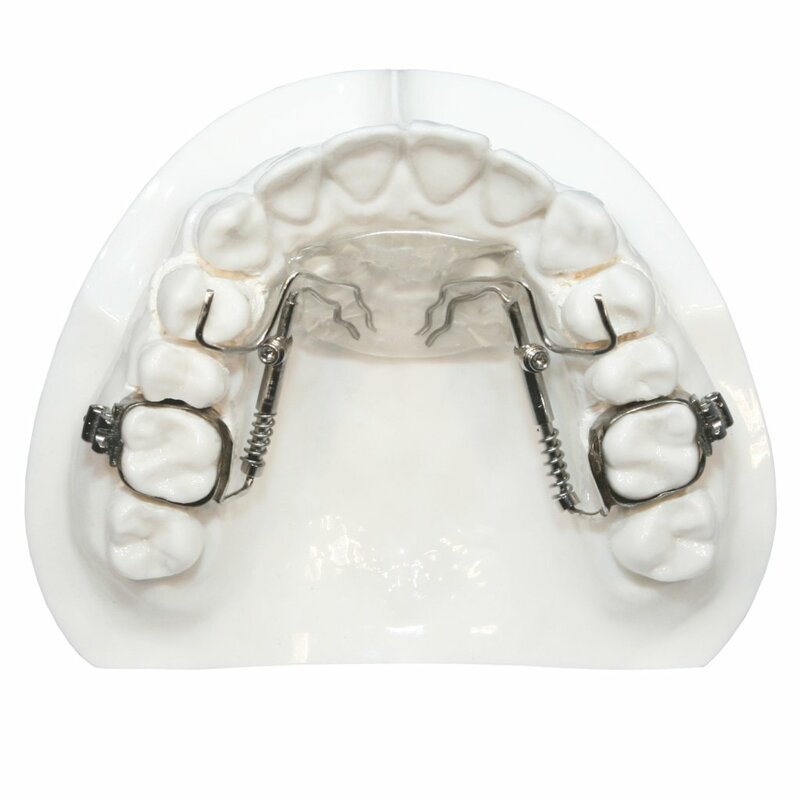 This spring utilizes an inverted loop placed half way between the spring helix and the .036 molar tubes. This unique design overcomes crossbites and leaves the molar roots mesially inclined. By simply opening the horizontal loop, a buccal and distal uprighting force is created producing a bodily movement of the molars. You can add an expansion screw to achieve transverse development as well. 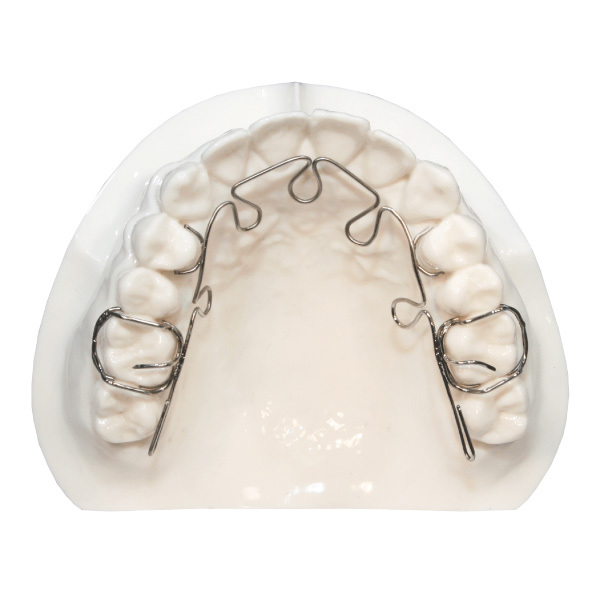 You can design this appliance with unilateral anchorage for unilateral distalization. The CD Distalizer is a fixed orthodontic appliance used unilaterally or bilaterally to distalize molars on either the upper or lower arch. Five Star uses a stronger wire (.036), which will give you less breakage and more bodily movement to the molars, with less crown tipping. 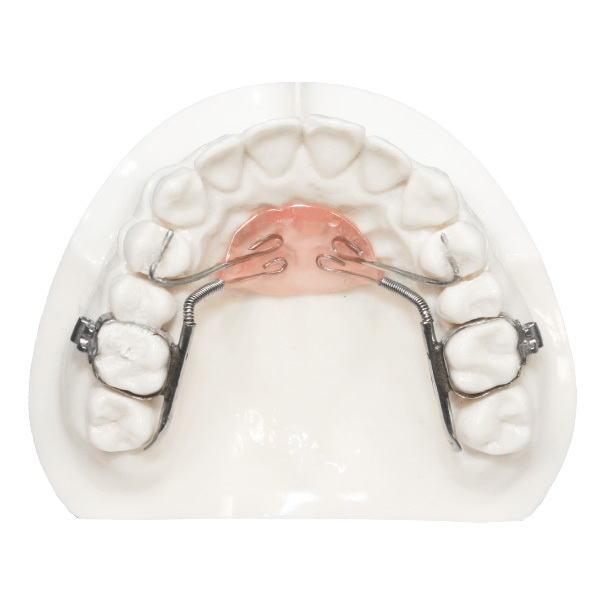 A midline screw can be added to the anterior region, which gives the appliance the ability to expand the arch laterally. 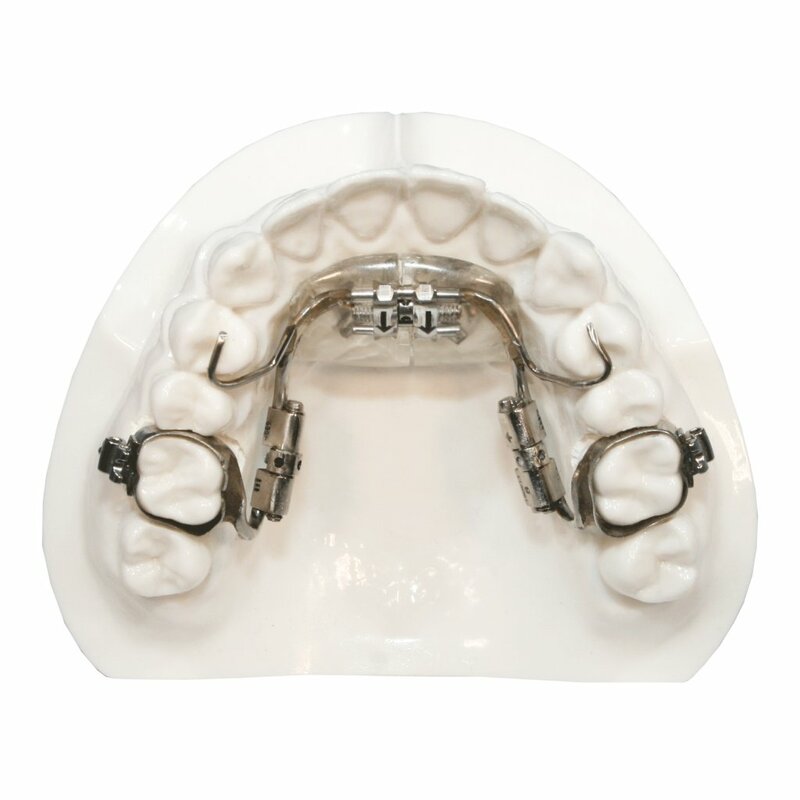 Five Star gives you the choice of using welded lingual buccal tubes or Wilson attachments for easy transition to a transpalatal arch. Choose between vertical tubes on the bicuspids for easy segmental placement or have the guide wire welded directly on the band for greater patient comfort. Five Star’s anterior placement of the lingual metal tubing is tongue friendly eliminating sharp protrusive distal wire ends. Five Star bends the distal buccal .036 wire to greatly reduce cheek irritation. All the benefits of a Jet Distalizer, but with the addition of an expansion screw in the anterior acrylic to develop arch width. 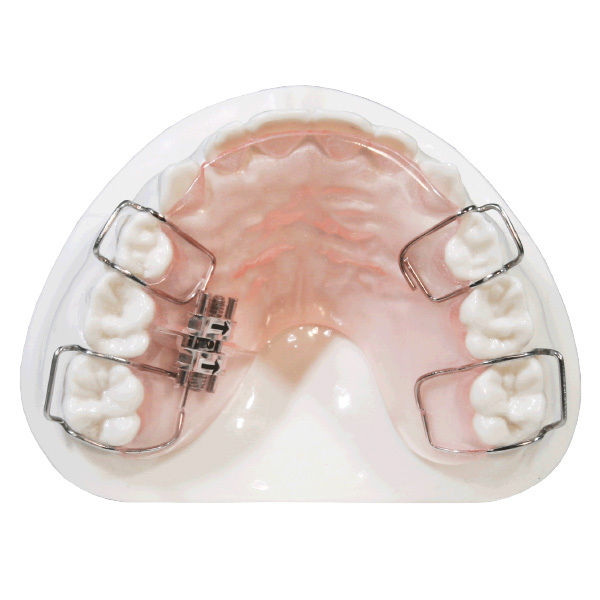 The Jet Distalizer is a fixed appliance used to distalize either unilaterally or bilaterally. A midline gear can be added to expand transversely. Distal Jet’s are popular with doctors who have uncooperative patients. The doctor activates the appliance by loosening the Jet screw and sliding it distally to compress the NiTi coil spring. Lingual mechanics and freedom to place brackets from molar to molar make the Distal Jet a popular distalizing appliance. Note: Bicuspid rests may be substituted for bands, however they must be bonded to achieve anchorage. 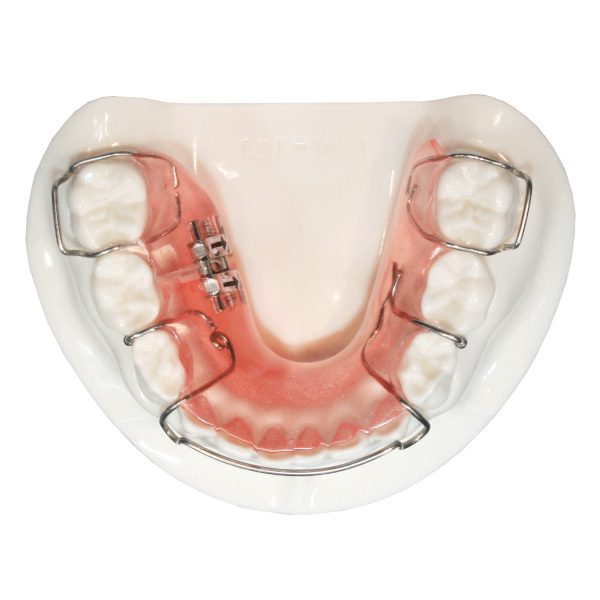 The E Regainer is a removable distalizer. It can be designed to distal drive unilaterally or bilaterally. 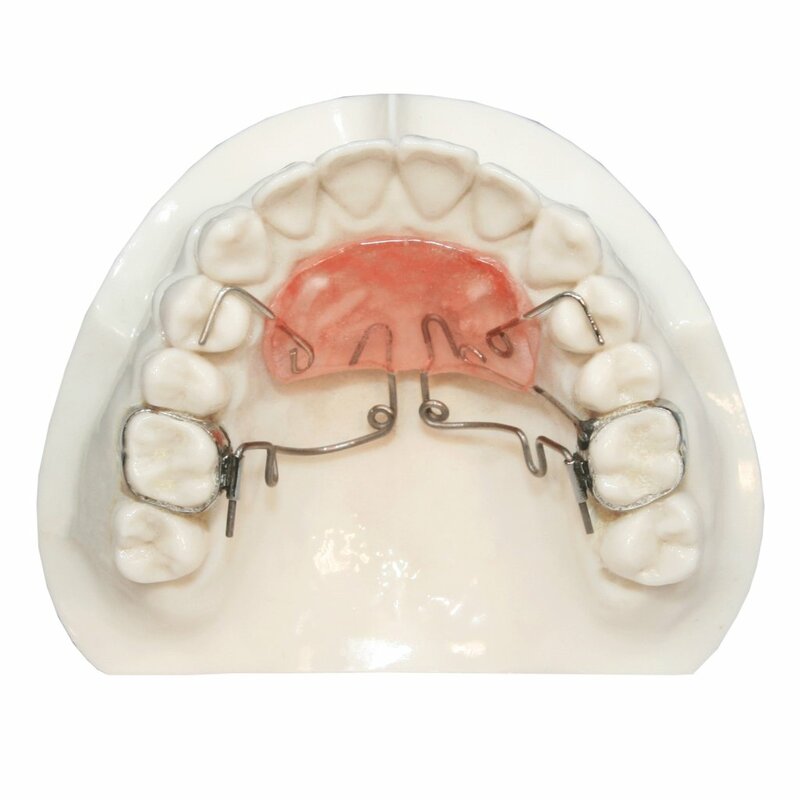 The Halterman appliance is the preferred appliance for mesially inclined molars. A metal or composite button can be placed on the most mesial occlusal surface of the inclined tooth. 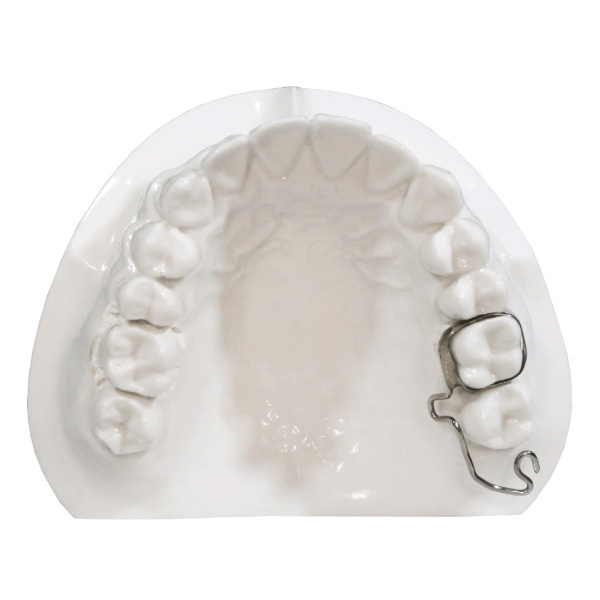 Power chain is then placed from the hook on the appliance to the occlusal button to create an uprighting force. 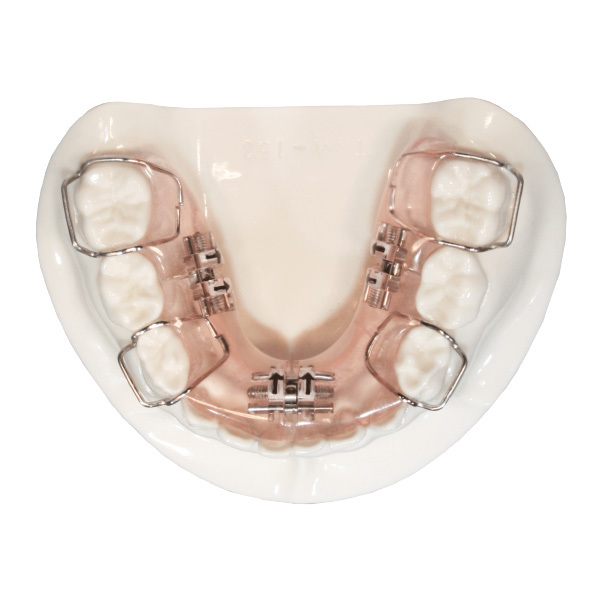 The Spring Uprighter is great for mesially inclined molars. A metal or composite button can be placed on the distal occlusal aspect of the inclined tooth. The "S" spring is compressed to fit mesial of the occlusal button which creates an uprighting force. This Nance Spring Distalizer is minimal in bluk and does not require activation. The 3 Way Schwarz can be designed to expand transversely and distalize unilaterally or bilaterally. On the lower arch, the distalizing gears should only be turned one side at a time to prevent proclination of the anterior teeth.